On the same day von Kluck swerved his German army to the east of Paris (August 31, 1914), preparatory to striking the Allies' line on the Marne, a tremendous battle was begun on the Lorraine border at Nancy, 150 miles away. The German high command had massed at this point 350,000 picked troops, expecting to break through the Gap of Mirecourt into France and take the Allies in the rear while von Kluck and von Buelow were attacking them in front. 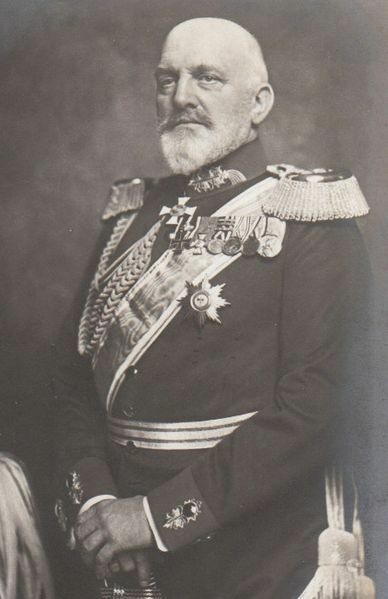 The combined German armies were commanded by Crown Prince Rupprecht of Bavaria, the Duke of Württemberg, and Gen. Heeringen, the victor of Morhange. Opposed to them was a French army of only 100,000, commanded by Gen. de Castelnau. The German artillery outranged the French guns. With heavy siege guns, brought from Metz, it was intended to blow Nancy and the Grand Couronne into oblivion and conquer France at a single blow. 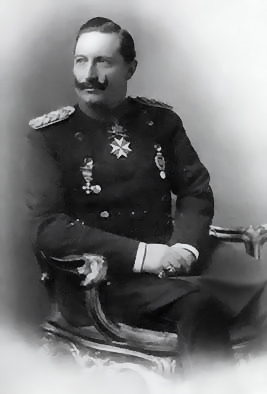 The Kaiser himself came from Metz to view the battle, arrayed as an Asiatic conqueror, and confident of victory. But instead of a victory he witnessed the disgraceful defeat of his choicest troops by a foe whom they outnumbered nearly four to one. In a certain sense, the Battle of Nancy may be regarded as the prelude to the Battle of the Marne. Indeed, Castelnau's victory at Nancy made possible the triumph of Joff re and Foch at the Marne. Had the Germans broken through the Gap of Mirecourt, all France would have been at their mercy. The battle was fought along a front of 25 miles, the dominant feature of which was a long wooded range of hills, called the Grand Couronne. To control this height, the Germans needed but to capture its extreme points—the hill of St. Geneviève to the north and the plateau of Amanee to the south. St. Geneviève commanded the right bank of the Moselle, which runs almost due north- from Nancy to Metz, while the Amanee plateau commanded the direct road from Salzburg to Nancy, through the forest of Champenoux. Through these valleys the German barbarians, for ages past, have ever sought to penetrate into the smiling plains of France. With the hill of St. Geneviève, 1200 feet in height, as their objective, the Germans advanced in two columns along either bank of the Moselle River, and after occupying the neighboring villages and forests, bombarded the village of St. Geneviève with their heavy siege guns. Every habitation wa.s blown into fragments. A single French battalion defended this hill against the repeated attacks in mass formation of German infantry. When the Germans retired, defeated, the slopes of the Grand Couronne were heaped with their slain. At the other extremity of the Grand Couronne, the plateau of Amanee, the Germans wasted 40,000 high explosive shells in a vain effort to expel the French defenders. The whole plateau was riddled until it resembled "a gigantic Bruyère cheese." Yet so well concealed and protected were the French gunners that only 20 of them were killed. On the other hand, the French 75's rained down their torrents of melinite on the masses of Germans in the plains below, taking a heavy toll of death. The battle was extended to other areas of the sector. Many villages were destroyed and great loss of life resulted. The Germans launched their general attack on the Grand Couronne, September 6, in masses of 50,000 soldiers at a time, with bands playing and flags flying. But they never reached the top of the hill. Time after time that day the huge mass formation advanced up the hillside, only to melt away under the fire of the French 75-centimeter guns, or to be charged with the bayonets of the "Ironsides" of France, who by their valor on that bloody day made possible the Allied victory in the Battle of the Marne. Five days more the slaughter of Germans continued, and then the Kaiser slunk back to Metz, with the full knowledge that France and Britain were not to be overcome. For he had meanwhile heard of von Kluck's retreat at the Marne and knew that his Prussian hordes were doomed to ultimate defeat. The slaughter of Huns in this second Battle of Nancy was beyond belief—at least 200,000 Germans fell—and the disaster to German arms was effected by a mere handful of men, the remnants of that brave French army which had been defeated at Morhange only a few weeks before. This triumph at Nancy was, in fact, a phase of the decisive First Battle of the Marne. We have seen that the Second French (Castelnau's) Army had taken up a position around Nancy, after having been driven out of Alsace-Lorraine at Morhange. The line of Castelnau's forces stretched from St. Genevieve through Nancy to Gerbeville. Nancy is surrounded by a chain of hills known as the Grand Crown of Nancy, and in addition Castelnau was supported by the fortress of Toul in his rear, so that the position of the French Second Army to the east of Paris was a strong one. On August 24, 1914, the German Sixth and Seventh Armies, strengthened by troops from Metz, fiercely attacked Castelnau's forces on the right. The German attack was a frontal one, since Verdun was between the right of the French Third Army and the left of the French Second Army, and Verdun was too dangerous to be in the German rear without being invested. At the same time, severe German attacks were launched upon the French left and centre. On the right and left centre, the Germans were decisively defeated. France now showed that her field guns also were formidable weapons and they wreaked terrible vengeance upon the attacking Germans. On August 24, 1914, the German attack on the right was stopped, and on the two next days the Germans were driven back and the French right advanced. On the left centre, a terrific German attack on the evening of the twenty-fourth was vainly renewed three times, and that same night the Germans withdrew toward Pont-a-Mousson, leaving thousands of dead upon the field of battle. On other sections of the line, French counter-attacks were driven back with heavy loss, but the French line remained in its position. Thus foiled in their direct attack, the German forces attempted no further action in this sector until heavy guns were brought up against Nancy on September 1, 1914. To the south, also, the Germans were driven back. Their forces in Alsace-Lorraine were not so strong as their forces to the northwest of France, and the French had withdrawn many of their troops from the Alsace-Lorraine frontier to support the troops retreating upon Paris from the north, so that fighting along the Alsace-Lorraine frontier became quiescent. Between Verdun and Switzerland, at least, the Germans had been held close to the Franco-German frontier. The Battle of Nancy was the final and decisive battle of the Burgundian Wars, fought outside the walls of Nancy on 5 January 1477 between Charles the Bold, Duke of Burgundy, and René, Duke of Lorraine. 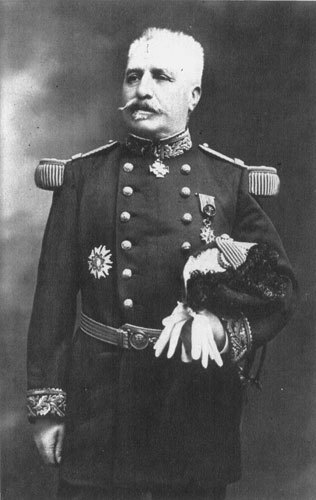 René's forces won the battle, and Charles' mutilated body was found three days later.